With the rising costs of tickets and snacks — not to mention other unwanted disturbances — a trip to the movie theater can be a drain on your wallet and patience. Instead, why not enjoy your favorite movies, shows and events in the comfort of your own home. If you dream of an intimately private dedicated home theater, or simply upgrading a component, or just adding a quality surround sound system in your family room, Sound Ingenuity is equipped to make them all realities. We have the experience and ingenuity to maximize your home theater expectations without breaking the bank. Let Sound Ingenuity help you take advantage of your personal media collection, deals at the rental kiosks and online services without the sticky floors and distractions of the movie house. Contact us now for your FREE ESTIMATE! Sound Ingenuity applies INGENUITIVE ideas and our many years of experience to make your cost-effective custom home theater dreams come true! Let us handle the nightmare of tangled wires and component setup as we optimize and calibrate your dream system for peak performance. The looks you get from friends and family as they enjoy the state-of-the-art experience — in what they assumed was just your warm & cozy living room — will reassure you of your sound investment! You don't live in the electronic store, so why should you be stuck with their settings? Straight from the box and factory presets can't match the superb image quality that professional optimization and calibration offers, and Sound Ingenuity knows this. Using the industry's best calibration equipment we can dial your television or projector's brightness, color, contrast, tint and temperature to their most efficient settings for your environment, with the benefit of improving your equipment's energy consumption and lifespan. Proper installation and set up of your television and home audio/video equipment can mean many extra years of enjoyment. Contact us now for your FREE ESTIMATE! Blu-ray players and DVRs to receivers with air play to reel-to-reel tape decks and turntables, Sound Ingenuity has your component solution. With our direct access to popular, name brand manufacturers, we pass our savings to you to fit your entertainment needs and budget. Click here to browse our larger directory! No television too large, no component too small. Sound Ingenuity has you covered. Contact us now for your FREE ESTIMATE! Audio purists and true music lovers know the benefits of a pure, 2-Channel, Hi-Fi audio system, and so does Sound Ingenuity. 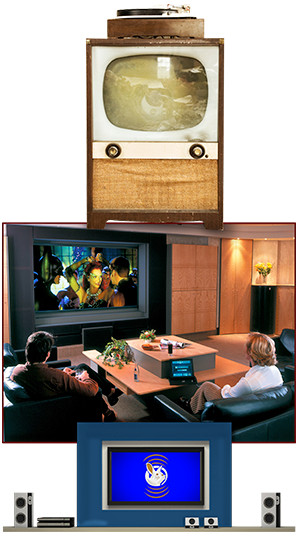 We are passionate about pure audio and respect and cater to the pure audio enthusiasts and audiophiles, everywhere. Vacuum tube, solid state, or hybrid amplifiers — from 2 to 2000 watts — pouring through the finest in specialized high efficiency speakers, delivering the truest and purest sounds — as if you were in the studio at the time of the recording — it simply does not get any better. As audiophiles ourselves, we know the challenge of building a quality, pure audio system that doesn't drain the bank account, and Sound Ingenuity has your solution. 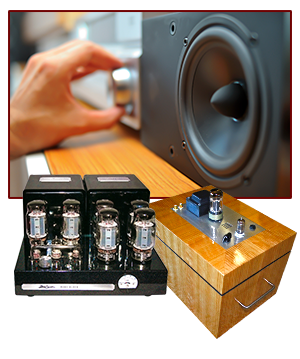 Sound Ingenuity is also an authorized dealer for the famous Bob Carver Vacuum Tube Amplifier Company and Audio Note Kits. Both of their products and more are available for demo at our showroom in Southern California — by appointment only. For more information on these products and more, click here. For more information our showroom or to make an appointment for a demo, click here. Specializing in delivering quality pure audio products that surpass your needs for the best price, because we love music too. Contact us now for your FREE ESTIMATE! Be the master of your world! Most devices today, from televisions and components to your ceiling fan and home lighting, is controlled by a remote control that is taking up space in a drawer or cluttering up your coffee table. Sound Ingenuity has the solution to shed those excess remotes and give you total control through affordable home automation. With the right software and the right device, Sound Ingenuity puts the power in your hands. Contact us now for your FREE ESTIMATE! A home isn't complete without a computer. Whether it's for surfing the internet, keeping in touch with friends and family or running a home-based business, Sound Ingenuity can customize a computer system and networking option to handle all of your needs. Don't let the technical revolution hold you back from experiencing the future. Contact us now for your FREE ESTIMATE! Even though we live in an age full of mobile phones and cellular devices, a reliable home phone system is still as crucial as ever. 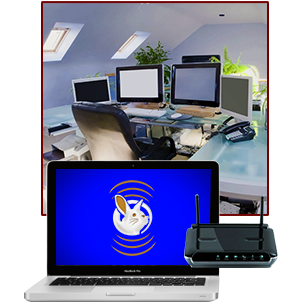 Big homes, large families, even home offices all have unique needs, and Sound Ingenuity has your high-quality, affordable telephone solution. 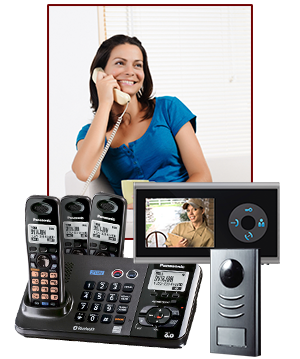 Keep your connections at your fingertips with with an affordable custom home phone solution. Contact us now for your FREE ESTIMATE! The safety and security of your family is important, and in our current times protection is vital. Fortunately, today's progressive technologies make it easy and affordable for any family to keep a watchful eye. 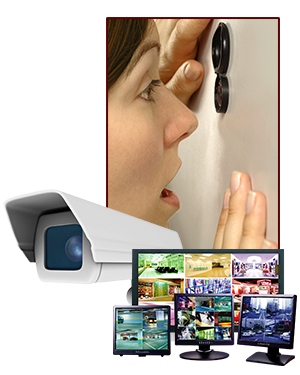 Sound Ingenuity specializes in custom closed circuit home surveillance systems that insure your security and fit well within your budget. Protect yourself with confidence without draining your bank account. Contact us now for your FREE ESTIMATE! 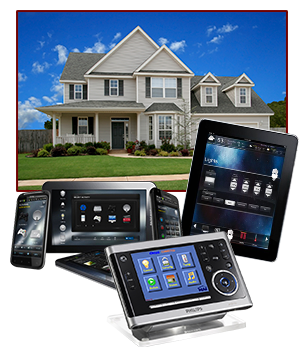 CUSTOM CARE FOR YOUR HI-TECH WORLD!